144000 Creator’s Lightwarriors, Now On Earth, Will Be Removed For “Magnificent Confrontation” Of Christ And Satan, And Then They Will Return! Okay I’m simply putting together the pieces like anyone else… following the hints given to us from Creator… it’s looking like those ‘teachers of light and workers’, may represent the 144,000… these words come from Sananda, who is the top commander of project transition earth, so when he ‘hints’, I for one, definitely listen. Phoenix Journal 9, “Satan’s Drummers’ , Chap. 9, p. 61. 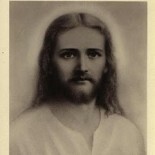 Now, when Sananda says ‘removed’ it doesn’t necessarily mean ‘from earth’… some may go to spaceships, some may head to inner earth, and some may remain… however, there will be a ‘restoration phase’ for these leading lightsouls, who as the story goes, will return with their twin flames, creating a new templete of light… a living crystal energy grid consisting of souls of light. Inner Earth Preparing For Surface Visitors, And To Visit The Surface! This entry was posted on May 10, 2017 by Indian in the machine in Uncategorized.